The MX6 is the worlds most affordable, lightest, low cost rugged IP68 all weather WATERPROOF stabilized long range FLIR PTZ Pan Tilt Zoom EO/IR multi sensor imaging fixed/remote system which consists of a high grade MWIR cooled high sensitivity thermal imaging detector camera with precision germanium CZ continuous zoom long range F4 IR optics that offer 11 km thermal night vision human detection capability in total darkness or in daytime and 18 kilometer (car, van, truck) detection capabilities. The system includes an HD low light BSI CMOS CCTV zoom day EO camera to compliment the FLIR PTZ thermal imaging IR channel. RADAR Integrations & LRF Laser Range Finder and other sensors are available into this compact powerhouse. Cooled MWIR FLIR PTZ thermal IR imaging cameras offer crisp clean day/night imagery in demanding harsh environments, these exotic sensors are typically expensive but provide optimal image quality for human, vehicle, and vessel detection at long ranges. The MX6 was designed to offer a rugged cooled extended cooler life MWIR FLIR ptz pan tilt zoom multi EOIR camera solution at an affordable price point. The MX6 multi sensor/multi spectral imaging system is also ideal of mobile surveillance system MSS, Unmanned, UAV, UAS, SUAS, and DRONE detection, identification, Classification & recognition applications. The MX6 FLIR PTZ Pan Tilt system is a plug and play system that can be integrated into existing security systems or be used in new standalone projects. Anti fog/haze, clutter, humidity and turbulence capabilities are a few features of the MX6 FLIR PTZ. The Pan And Tilt smooth, no backlash motion control positioner turret platform can be coupled with radars for tracking/slew to cue requirements in fixed, mast/tower mounted, ground, mobile or marine applications for use in surveillance, coastal, border, critical infrastructure, and a wide array of long range optical security protection areas. SPI Utilizes the Sharpest, highest Quality Current top Grade Military Imaging Sensors that offer the highest sensitivity and greatest image detail which yields better Detection, Recognition & Identification of Long Standoff Range distant Targets. The MX6 FLIR PTZ is a fully universal system that can be easily integrated for use with ONVIF, IP, Ethernet and a host of common protocols. The system can be used locally or remotely with standard analog, HD-SDI or HDMI video output feeds. If you are in search of a low cost, stabilized long range DRI (Detection, Recognition, Identification) capabilities in an all weather, reliable MWIR Thermal FLIR PTZ gimbal, the MX6 is a premier solution. This, as all SPI FLIR PTZ systems can be affordability custom configured to meet your exact specifications and requirements. weight: 25 lbs. Variable dependent on payloads. There are many cooled MWIR PTZ Pan Tilt Flir thermal iR imaging cameras available to choose from today, selecting the proper system for your needs can be confusing, SPI offers a select few High grade advanced cooled Mid Wave Infrared FLIR Thermal imaging PTZ cameras such as the MX6 to a clientele that is seeking affordable, high quality, long lasting, rugged/reliable and easy to install / operate complete turnkey systems. 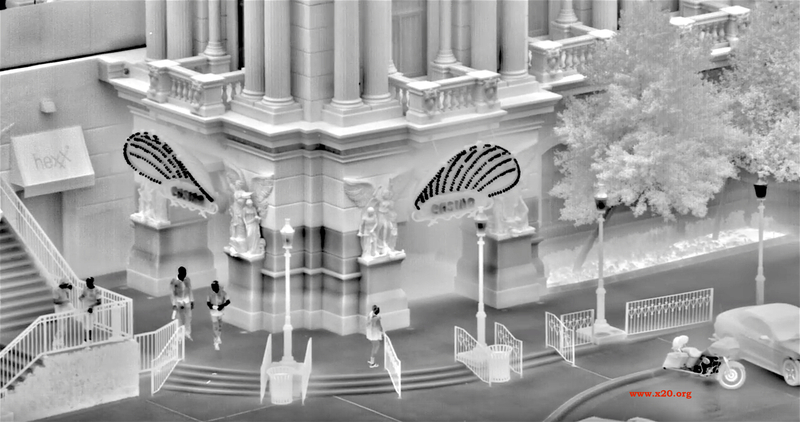 Thermal cameras or (FLIR Cameras), unlike traditional visible cameras, use heat rather than light to see an object, giving them a huge advantage over other imaging technologies. Using minute differences in infrared (IR) radiation they produce a high-contrast thermal image in complete darkness. It is unaffected by bright light and has the ability to see through obstructions such as smoke, dust, and light fog. This makes thermal ideal for a number of applications including but not limited to surveillance & security search and rescue, fire, marine and land navigation, machine vision, and wide area situational assessment. IR FLIR radiation passes through smoke, dust, modest foliage, and light fog with ease, making a person clearly visible even in the worst lighting conditions. Thermal energy is passive and, unlike other technologies, does not artificially increase light or require illumination for clean crisp images both day and night for detection of intruders at extreme ranges. SPI’s FLIR PTZ cameras let you see further than any other night vision technology. There are also certain situations where FLIR PTZ thermal imaging Cameras can be better than regular CCTV cameras (TV or EO Cameras) even during the day. CCTV cameras can be rendered useless by direct or reflected sunlight, and they rely on contrast in order to identify a intruder. In areas where contrast is poor, visible cameras can be rendered useless. Since humans always give off much more thermal energy than their environment they are easily picked up by video analysis software or human viewers. Trespassers hiding in shadows or bushes are easily spotted, providing maximum protection of your assets and unparalleled situational awareness. FLIR PTZ (Pan Tilt Zoom) Thermal cameras are ideal for detection because they use heat rather than light, meaning they require no artificial illumination. They are able to take advantage of the full view, allowing them to offer both wide-angle and long-range imagery. Thermal cameras offer numerous advantages and can be optimized to suite a host of applications and industries. 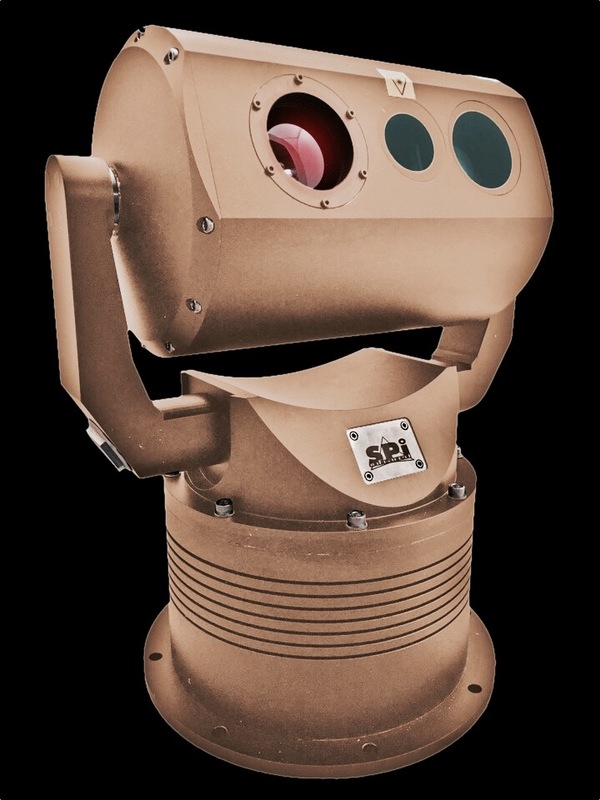 For instance border and coastal security and surveillance applications one MWIR or LWIR thermal FLIR PTZ camera of high quality can replace many traditional cameras and reduce the need for motion and intrusion detectors when integrated with video analytics to provide an automated intrusion detection system. This allows them to actually reduce equipment and installation costs on projects while enhancing security and effectiveness. Long range Threat Detection Technologies, Radar, Microwave and Electromagnetic, Ranger Finders and Target Acquisition, UAV Equipped with Multi-Senso, Sniper Detection, and more. The MX6 low cost cooled zoom Mwir eoir ISR pan tilt zoom systems is an affordable continuous zoom PTZ small, rugged camera system with zoom day optics and custom integration options. The thermal imaging IR camera is ideal for security, surveillance, costal, shoreline, seaport, perimeter and border protection applications.